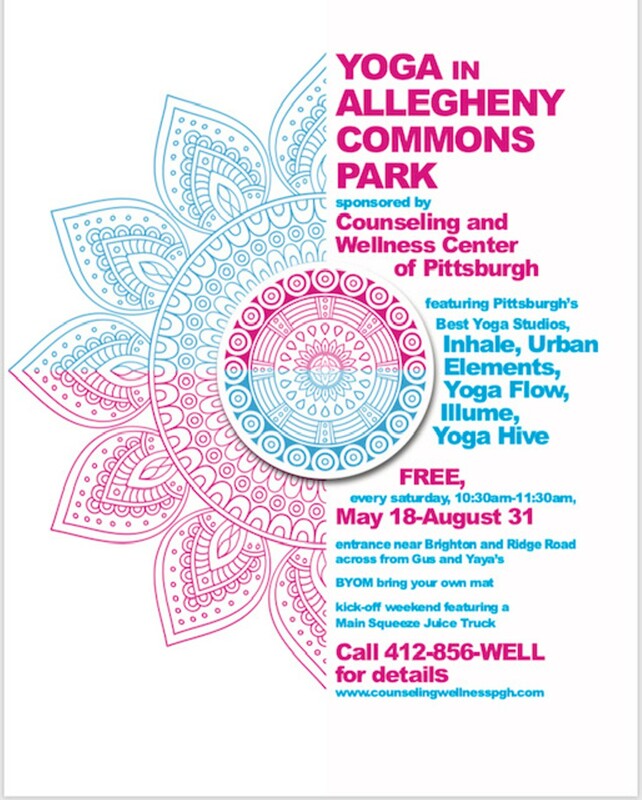 Yoga in Allegheny Commons Park all summer long, Counseling and Wellness Center of Pittsburgh has sponsored Pittsburgh's Best Yoga Studios to bring yoga to the park. We are kicking off the opening weekend with a healthy juice truck! 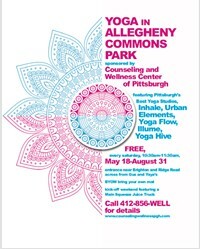 It's FREE!! !